There’s only a little one here to kick the new month off, and it looks like we have Apple and iOS 9 to thank for it. 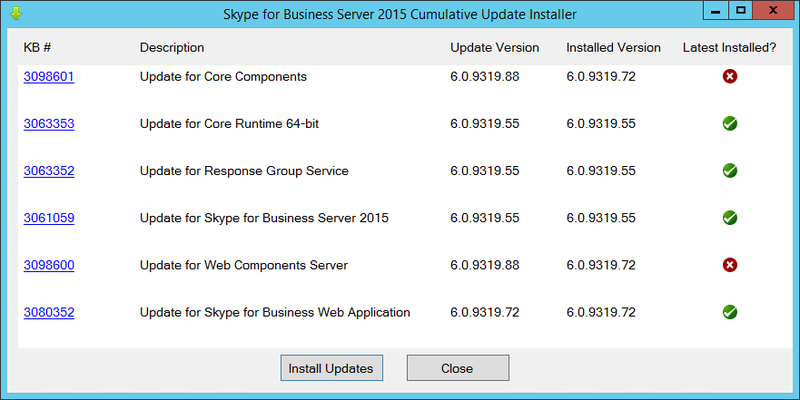 This update takes the server from 6.0.9319.72 to 6.0.9319.88, with two components affected. kb3097592: You can’t join a meeting from outside Lync 2013 for iPhone or Lync 2013 for iPad on iOS 9. [The iOS client won’t be updated and renamed until next week, hence what seems to be cross-version confusion here]. Here’s the kb article – and (as at Oct 2nd) a very confused install procedure. There are lots of references to you “uninstalling” the update, rather than actually implementing it!